WARNING: Lots of spoilers ahead, but you probably guessed that. 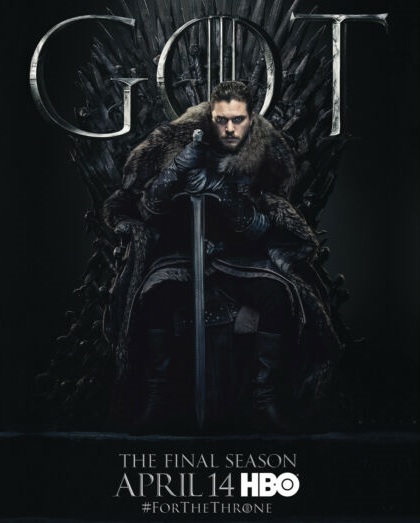 We’re hours away from the premiere of the “Game of Thrones'” final season. The last six episodes of the HBO series are among TV’s most-talked-about events — many who’ve never even watched before will tune in to see the cultural milestone come to a close. Binge-watching would be the best way to get up to speed on what’s been happening, but it’ll be tough to squeeze in 70 hours of TV ahead of the April 14 premiere. Indeed, in this season finale, the Night King, riding atop one of Daenerys’ dragons who he killed then resurrected, succeeds in destroying part of The Wall, opening up Westeros for trouble. “Winter is here and it’s up to the living to either unify or die in the final season,” the “Game of Owns” podcasters said.